I Am Legend is a 2007 American post-apocalyptic science fiction horror film based on the novel of the same name, directed by Francis Lawrence and starring Will Smith, who plays US Army virologist Robert Neville. The story is set in New York City after a virus, which was originally created to cure cancer, has wiped out most of mankind, leaving Neville as the last human in New York, other than nocturnal mutants. Neville is immune to the virus and he works to develop a cure while defending himself against the hostile mutants. Warner Bros. began developing I Am Legend in 1994, and various actors and directors were attached to the project, though production was delayed due to budgetary concerns related to the script. Production began in 2006 in New York City, filming mainly on location in the city, including a $5 million scene at the Brooklyn Bridge. It is the third feature-film adaptation of Richard Matheson's 1954 novel I Am Legend, following 1964's The Last Man on Earth and 1971's The Omega Man. The film was released on December 14, 2007, in the United States and Canada, and opened to the largest ever box office (not adjusted for inflation) for a non-Christmas film released in the U.S. in December. The film was the seventh-highest grossing film of 2007, earning $256 million domestically and $329 million internationally, for a total of $585 million. In 2009, a genetically re-engineered measles virus, originally created as a cure for cancer, turns lethal. The virus kills 90% (5.4 billion out of 6 billion) of the world’s population, turns 9.8% (588 million) into predatory, vampiric mutants, called Darkseekers, who are extremely vulnerable to sunlight, who kill most of the remaining 0.2% (12 million) who were immune to the virus. Three years after the outbreak, US Army virologist Lt Col Robert Neville lives an isolated life in the deserted ruins of Manhattan, unsure if any other uninfected humans are left in the world. Neville's daily routine includes experimentation on infected rats to find a cure to the virus and searching for food and supplies, as well as waiting each day for any immune humans who might respond to his continuous recorded radio broadcasts, which instruct them to meet him at midday at the South Street Seaport. 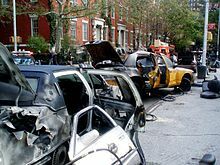 Flashbacks reveal that his wife and daughter died in a helicopter accident during the chaotic evacuation of Manhattan, as the military enforced a quarantine of the island in 2009. Neville stayed behind on the island with other military personnel. Neville's only companions are his German Shepherd, Samantha (Sam), some mannequins he regularly “talks” with, and the characters on film recordings from video stores. At night, he barricades himself and Sam inside his heavily fortified Washington Square Park home to hide from the Darkseekers. One day, Sam follows a deer into a building. Neville cautiously goes in after her and finds the deer's corpse along with Sam, but the building is infested by a colony of Darkseekers. Both manage to escape unharmed and the attacking Darkseekers are killed by the sunlight. Neville finds a promising treatment derived from his own blood, so he sets a snare trap and captures a female Darkseeker from the colony building, while a male Darkseeker tries to go after them, but is blocked by the sunlight and returns to the shadows. Back in his laboratory in the basement of his house, Neville treats the female without success. The next day, he is ensnared in a trap similar to the one he used to capture the female; by the time he manages to escape, the sun is setting and he is attacked by infected dogs. Neville and Sam manage to eliminate them, but Sam is bitten in the fight. Neville injects her with a strand of his serum, but when she shows signs of infection, Neville is forced to strangle her to death. Heartbroken and driven over the edge of insanity, he ventures out and suicidally attacks a group of Darkseekers the next night. He kills a large number but is nearly killed when suddenly rescued by a pair of immune humans, Anna and a young boy named Ethan, who have traveled from Maryland after hearing his broadcast. They take the injured Neville back to his home, where Anna explains that they survived the outbreak aboard a Red Cross evacuation ship from São Paulo and are making their way to a survivors' camp in Bethel, Vermont. Neville angrily argues that no such survivors' camp exists. Neville adjusts the potential cure and injects the female Darkseeker. The next night, a group of Darkseekers, who had followed Anna and Neville back the night before, attack the house. Neville, Anna, and Ethan retreat into the basement laboratory, sealing themselves in with the female test subject. Discovering that the last treatment was successful, Neville tries to assess the situation as the male Darkseeker from earlier deliberately rams himself against a glass door to break in. Neville draws a vial of blood from the woman he cured and gives it to Anna, before shutting her and Ethan inside a coal chute in the back of the lab. He then takes a grenade and kills the Darkseekers at the cost of his own life, saving the cure. The next day, Anna and Ethan arrive at the survivors camp in Bethel, Vermont. They are greeted by military officers and other human survivors, and Anna is shown handing the cure to the officers. During the lab attack, the alpha male makes a butterfly-shaped crack while attempting to break through the glass to the laboratory. Neville realizes that the alpha male is identifying the female which he was experimenting on by her butterfly tattoo and that it wants her back. Neville puts his gun down and returns the female. Neville and the alpha male stare each other down as Neville apologizes to the latter by giving him a tube of the cure. The alpha male accepts it and the Darkseekers leave. Shocked, Neville looks over the pictures of his numerous test subjects and the implications of his research methods begin to dawn on him. Neville, Anna, and Ethan then drive to the survivors' camp in Vermont with the antidote. Will Smith as Dr. Robert Neville: A former U.S. Army medical doctor and scientist before the worldwide plague, he loses his wife and daughter in a helicopter crash shortly after Manhattan is quarantined and spends the next three years trying to find a cure while defending himself against the Darkseekers. He is immune to the virus and uses vials of his blood to try to create a cure. Alice Braga as Anna Montez: A survivor from Brazil, she spent days harbored on a Red Cross ship in Philadelphia. After the city was overrun, she stayed with Ethan and several other survivors on the ship, but eventually, only Ethan and she survived since they were immune and the others were either infected or killed. She followed Neville's broadcasts to track him. Charlie Tahan as Ethan: A boy from Philadelphia, who spent time on the Red Cross ship with Anna and accompanied her when the ship was overrun. Dash Mihok as Alpha Male, the dominant male of the vampire-like mutants, Darkseekers, who is determined to get his mate back from Neville, defying Neville's perception of them as mindless and emotionless creatures. Emma Thompson as Dr. Alice Krippin: The doctor who creates the cancer cure, she inadvertently brings mankind to the brink of extinction; Neville dubs the virus "the Krippin virus". Her performance is uncredited. Joanna Numata as Alpha Female, the Alpha Male's mate who gets taken by Neville and is used as the subject for his cure. Washington Square on October 31, 2006: The area is being set up for an evening shooting. In the background is the house where Will Smith's character lives. The science-fiction horror genre reemerged in the late 1990s. In 1995, Warner Bros. began developing the film project, having owned the rights to Richard Matheson's 1954 novel I Am Legend since 1970 and having already made the 1971 adaptation The Omega Man. Mark Protosevich was hired to write the script after the studio was impressed with his spec script of The Cell. Protosevich's first draft took place in 2000 in San Francisco, and contained many similarities with the finished film, though the Darkseekers (called 'Hemocytes') were civilized to the point of the creatures in The Omega Man and Anna was a lone morphine addict, as well as the fact that a Hemocyte character named Christopher joined forces with Neville. Warner Bros. immediately put the film on the fast track, attaching Neal H. Moritz as producer. Actors Tom Cruise, Michael Douglas, and Mel Gibson had been considered to star in the film, using a script by Protosevich and with Ridley Scott as director; however, by June 1997, the studio's preference was for actor Arnold Schwarzenegger. In July, Scott and Schwarzenegger finalized negotiations, with production slated to begin the coming September, using Houston as a stand-in for the film's setting of Los Angeles. Scott had Protosevich replaced by a screenwriter of his own choosing, John Logan, with whom he spent months of intensive work on a number of different drafts. 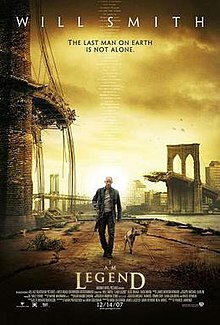 The Scott/Logan version of I Am Legend was a mix of sci-fi and psychological thriller, without dialogue in the first hour and with a sombre ending. The creatures in Logan's version were similar to the Darkseekers of the finished film in their animalistic, barbaric nature. The studio, fearing its lack of commercial appeal and merchandising potential, began to worry about the liberties they had given Scott – then on a negative streak of box office disappointments – and urged the production team to reconsider the lack of action in the screenplay. After an "esoteric" draft by writer Neal Jimenez, Warner Bros. reassigned Protosevich to the project, reluctantly working with Scott again. In December 1997, the project was called into question when the projected budget escalated to $108 million due to media and shareholder scrutiny of the studio in financing a big-budget film. Scott rewrote the script in an attempt to reduce the film's budget by $20 million, but in March 1998, the studio canceled the project due to continued budgetary concerns, and quite possibly to the box office disappointment of Scott's last three films, 1492: Conquest of Paradise, White Squall, and G.I. Jane. Likewise, Schwarzenegger's recent films at the time (Eraser and Warner Bros. own Batman & Robin) also underperformed, and the studio's latest experiences with big budget sci-fi movies Sphere and The Postman were negative, as well. In August 1998, director Rob Bowman was attached to the project, with Protosevich hired to write a third all-new draft, far more action-oriented than his previous versions, but the director (who reportedly wished for Nicolas Cage to play the lead) moved on to direct Reign of Fire and the project did not get off the ground. In March 2002, Schwarzenegger became the producer of I Am Legend, commencing negotiations with Michael Bay to direct and Will Smith to star in the film. Bay and Smith were attracted to the project based on a redraft that would reduce its budget. However, the project was shelved due to Warner Bros. president Alan F. Horn's dislike of the script. In 2004, Akiva Goldsman was asked by head of production Jeff Robinov to produce the film. In September 2005, director Francis Lawrence signed on to helm the project, with production slated to begin in 2006. Guillermo del Toro was originally approached to direct by Smith, but turned it down to direct Hellboy II: The Golden Army. Lawrence, whose film Constantine was produced by Goldsman, was fascinated by empty urban environments. He said, "Something's always really excited me about that... to have experienced that much loss, to be without people or any kind of social interaction for that long." Goldsman took on the project as he admired the second I Am Legend film adaptation, The Omega Man. A rewrite was done to distance the project from the other zombie films inspired by the novel, as well as from the recently released 28 Days Later, although Goldsman was inspired by the scenes of a deserted London in the British horror film to create the scenes of a deserted New York City. A 40-page scene-by-scene outline of the film was developed by May 2006. When delays occurred on Smith's film Hancock, which was scheduled for 2007, it was proposed to switch the actor's films. This meant filming would have to begin in 16 weeks: production was given a green light, using Goldsman's script and the outline. Elements from Protosevich's script were introduced, while the crew consulted with experts on infectious diseases and solitary confinement. Rewrites continued throughout filming, because of Smith's improvisational skills and Lawrence's preference to keep various scenes silent. The director had watched Jane Campion's film The Piano with a low volume so as to not disturb his newborn son, and realized that silence could be very effective cinema. Will Smith signed on to play Robert Neville in April 2006. He said he took on I Am Legend because he felt it could be like "Gladiator [or] Forrest Gump—these are movies with wonderful, audience-pleasing elements, but also uncompromised artistic value. [This] always felt like it had those possibilities to me." The actor found Neville to be his toughest acting challenge since portraying Muhammad Ali in Ali (2001). He said that "when you're on your own, it is kind of hard to find conflict." The film's dark tone and exploration of whether Neville has gone insane during his isolation meant Smith had to restrain himself from falling into a humorous routine during takes. To prepare for his role, Smith visited the Centers for Disease Control and Prevention in Georgia. He also met with a person who had been in solitary confinement and a former prisoner of war. Smith compared Neville to Job, who lost his children, livelihood, and health. Like the Book of Job, I Am Legend studies the questions, "Can he find a reason to continue? Can he find the hope or desire to excel and advance in life? Or does the death of everything around him create imminent death for himself?" He also cited an influence in Tom Hanks' performance in Cast Away (2000). Abbey and Kona, both three-year-old German Shepherd dogs, played Neville's dog Sam. The rest of the supporting cast consists of Salli Richardson as Zoe, Robert's wife, and Alice Braga as a survivor named Anna. Willow Smith, Will Smith's daughter, makes her film debut as Marley, Neville's daughter. Emma Thompson has an uncredited role as Dr. Alice Krippin, who appears on television explaining her vaccine for cancer that mutates into the virus. Singer Mike Patton provided the guttural screams of the infected "hemocytes", and Dash Mihok provided the character animation for the infected "alpha male". Several filler characters with uncredited roles were in old news broadcasts and flashbacks, such as the unnamed President's voice (Pat Fraley), and the cast of The Today Show. Akiva Goldsman decided to move the story from Los Angeles to New York City to take advantage of locations that would more easily show emptiness. Goldsman explained, "L.A. looks empty at three o'clock in the afternoon, [but] New York is never empty . . . it was a much more interesting way of showing the windswept emptiness of the world." Warner Bros. initially rejected this idea because of the logistics, but Francis Lawrence was determined to shoot on location, to give the film a natural feel that would benefit from not shooting on soundstages. Lawrence went to the city with a camcorder, and filmed areas filled with crowds. Then, a special effects test was conducted to remove all those people. The test had a powerful effect on studio executives. Michael Tadross convinced authorities to close busy areas such as the Grand Central Terminal viaduct, several blocks of Fifth Avenue, and Washington Square Park. The film was shot primarily in the anamorphic format, with flashback scenes shot in Super 35. Filming began on September 23, 2006. 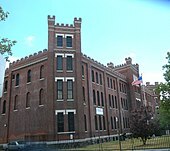 The Marcy Avenue Armory in Williamsburg was used for the interior of Neville's home, while Greenwich Village was used for the exterior. Other locations include the Tribeca section of lower Manhattan, the aircraft carrier Intrepid, the Kingsbridge Armory in the Bronx, and St. Patrick's Cathedral. Weeds were imported from Florida and were strewn across locations to make the city look like it had been overgrown with them. The closure of major streets was controversial with New Yorkers. Will Smith said, "I don't think anyone's going to be able to do that in New York again anytime soon. People were not happy. That's the most middle fingers I've ever gotten in my career." A bridge scene was filmed for six consecutive nights in January on the Brooklyn Bridge to serve as a flashback scene in which New York's citizens evacuate the city. Shooting the scene consumed $5 million of the film's reported $150 million budget, which was likely the most expensive shoot in the city to date. The scene, which had to meet requirements from 14 government agencies, involved 250 crew members and 1,000 extras, including 160 National Guard members. Also present were several Humvees, three Strykers, a 110-foot (34 m) cutter, a 41-foot (12 m) utility boat, and two 25-foot (7.6 m) response boat small craft, as well as other vehicles including taxis, police cars, fire trucks, and ambulances. Filming concluded on March 31, 2007. Computer-generated imagery (CGI) was used to depict the main spans of the Brooklyn Bridge and the Manhattan Bridge collapsing as missiles from passing military jets blew them up to quarantine Manhattan island. The end of the film was shot in Lambertville, New Jersey. Reshoots were conducted around November 2007. Lawrence noted, "We weren't seeing fully rendered shots until about a month ago. The movie starts to take on a whole other life. It's not until later that you can judge a movie as a whole and go, 'Huh, maybe we should shoot this little piece in the middle, or tweak this a little bit.' It just so happened that our re-shoots revolved around the end of the movie." A week into filming, Francis felt the infected (referred to as "Darkseekers" or "hemocytes" in the script), who were being portrayed by actors wearing prosthetics, were not convincing. His decision to use CGI resulted in an increased budget and extended post-production, although the end results were not always well received. The concept behind the infected was that their adrenal glands were open all of the time and Lawrence explained, "They needed to have an abandon in their performance that you just can't get out of people in the middle of the night when they're barefoot. And their metabolisms are really spiked, so they're constantly hyperventilating, which you can't really get actors to do for a long time or they pass out." The actors remained on set to provide motion capture. "The film's producers and sound people wanted the creatures in the movie to sound somewhat human, but not the standard", so Mike Patton, lead singer of Faith No More, was engaged to provide the screams and howls of the infected. In addition, CGI was used for the lions and deer in the film, and to erase pedestrians in shots of New York. Workers visible in windows, spectators, and moving cars in the distance were all removed. In his vision of an empty New York, Lawrence cited John Ford as his influence: "We didn't want to make an apocalyptic movie where the landscape felt apocalyptic. A lot of the movie takes place on a beautiful day. There's something magical about the empty city as opposed to dark and scary that was the ideal that the cast and crew wanted." I Am Legend was originally slated for a November 21, 2007, release in the United States and Canada, but was delayed to December 14. The film opened on December 26, 2007, in the United Kingdom, and Ireland, having been originally scheduled for January 4, 2008. In December 2007, China temporarily suspended the release of all American films in the country, which is believed to have delayed the release of I Am Legend. Will Smith spoke to the chairman of China Film Group about securing a release date, later explaining, "We struggled very, very hard to try to get it to work out, but there are only a certain amount of foreign films that are allowed in." Premieres were held in Tokyo, New York, and London. At the London premiere in Leicester Square, British comedian and actor Neg Dupree was arrested after pushing his way onto the red carpet and running around shouting "I am Negend!". The stunt was part of his "Neg's Urban Sports" section of comedy game show Balls of Steel. The film's teaser was attached to the screenings of Harry Potter and the Order of the Phoenix. And a tie-in comic from DC Comics and Vertigo Comics was created, I Am Legend: Awakening. The project drew upon collaboration from Bill Sienkiewicz, screenwriter Mark Protosevich, and author Orson Scott Card. The son of the original book's author, Richard Christian Matheson, also collaborated on the project. The project advanced from the comic to an online format in which animated featurettes (created by the team from Broken Saints) were shown on the official website. In October 2007, Warner Bros. Pictures, in conjunction with the Electric Sheep Company, launched the online multiplayer game I Am Legend: Survival in the virtual world Second Life. The game was the largest launched in the virtual world in support of a film release, permitting people to play against each other as the infected or the uninfected across a replicated 60 acres (240,000 m2) of New York City. The studio also hired the ad agency Crew Creative to develop a website that was specifically viewable on the iPhone. I Am Legend grossed $77,211,321 on its opening weekend in 3,606 theaters, averaging $21,412 per venue, and placing it at the top of the box office. This set a record for highest-grossing opening for a film for December. The film grossed $256,393,010 in North America and a total of $585,349,010 worldwide. The film was the sixth-highest grossing film of 2007 in North America, and as of April 2014, it remained among the top 100 all-time highest-grossing films both domestically and worldwide (unadjusted for ticket price inflation). The film was released on DVD on March 18, 2008, in two editions: a one-disc release, including the movie with four animated comics ("Death As a Gift", "Isolation", "Sacrificing the Few for the Many", and "Shelter"), and other DVD-ROM features, and a two-disc special edition that includes all these extras, an alternative theatrical version of the movie with an ending that follows closer to that from the novel, and a digital copy of the film. On the high-definition end, the movie has been released on the Blu-ray Disc format and HD DVD format along with the DVD release, with the HD-DVD version being released later on April 8, 2008. Both HD releases include all the features available in the two-disc DVD edition. A three-disk Ultimate Collector's Edition was also released on December 9, 2008. The film has sold 7.04 million DVDs and earned $126.2 million in revenue, making it the sixth-best-selling DVD of 2008. However, Warner Bros. was reportedly "a little disappointed" with the film's performance on the DVD market. On review aggregation website Rotten Tomatoes the film had an approval rating of 69% based on 210 reviews, with an average rating of 6.4/10. The site's critical consensus reads, "I Am Legend overcomes questionable special effects and succeeds largely on the strength of Will Smith's mesmerizing performance." On Metacritic, which assigns a rating to reviews, the film has an average score of 65 out of 100, based on 37 critics, indicating "generally favorable reviews". A. O. Scott wrote that Will Smith gave a "graceful and effortless performance" and also noted the "third-act collapse". He felt that the movie "does ponder some pretty deep questions about the collapse and persistence of human civilization". Dana Stevens of Slate wrote that the movie lost its way around the hour mark, noting that "the Infected just aren't that scary." NPR critic Bob Mondello noted the film's subtext concerning global terrorism and that this aspect made the film fit in perfectly with other, more direct cinematic explorations of the subject. Richard Roeper gave the film a positive review on the television program At the Movies with Ebert & Roeper, commending Will Smith as being in "prime form", also saying there are "some amazing sequences" and that there was "a pretty heavy screenplay for an action film." The film has been criticized for diverging from Matheson's novel, especially in its portrayal of a specifically Christian theme. Much of the negative criticism concerned the film's third act, with some critics favoring the alternative ending in the DVD release. Doug Walker said the alternate ending was "powerful, thought provoking, and challenging", and the theatrical ending was "a betrayal" and "castration" of both the film's tone and of what made the original story so impactful. The magazine solicited reactions from Alan Weisman, author of The World Without Us, virologist W. Ian Lipkin, MD, and Michel Bruneau, PhD, comparing their predictions with the film's depictions. The article raised the most questions regarding the virus' mutation and the medical results, and pointed out that a suspension bridge like the Brooklyn Bridge would likely completely collapse rather than losing only its middle span. Neville's method of producing power using gasoline-powered generators seemed the most credible: "This part of the tale is possible, if not entirely likely," Popular Mechanics editor Roy Berendsohn says. Philosopher Slavoj Zizek criticized the film politically as being the most regressive adaptation from the novel. He said that while the original novel had a progressive multicultural message where Neville became a "legend" to the new creatures and is subsequently killed by them (much like vampires were legends to humans), the 2007 film finds a cure for the Darkseekers and it is delivered by a survivor through apparent divine intervention. According to Zizek, this misses the original message and "openly opt[s] for religious fundamentalism." I Am Legend earned four nominations for the Visual Effects Society awards, and was also nominated for Outstanding Performance by a Stunt Ensemble at the Screen Actors Guild Awards, Outstanding Film and Actor at the Image Awards, and Best Sound at the Satellite Awards. In June 2008, Will Smith won a Saturn Award for Best Actor. Will Smith also won the MTV Movie Awards for Best Male Performance. Director Francis Lawrence said in 2008 that there would be a prequel and that Will Smith would be reprising his role. The plot of the film would reveal what happened to Neville before the infected took over New York. D. B. Weiss was hired to write the script, while Lawrence was in negotiations to return as director, contingent on a sufficiently interesting story. Smith later discussed the premise, which would have his character and a team going from New York City to Washington, D.C., as they made their last stand against those infected with the virus. The film would again explore the premise of being alone. Lawrence stated, "... the tough thing is, how do we do that again and in a different way?" In May 2011, Francis Lawrence stated that the prequel was no longer in development saying, "I don't think that's ever going to happen." In 2012, Warner Bros. announced that negotiations had begun to produce another installment, with the intention of having Will Smith reprise his role. In April 2014, the studio attained a script entitled A Garden at the End of the World, described as a post-apocalyptic variation of The Searchers. Studio executives found so many similarities to I Am Legend in the screenplay, they had the author Gary Graham rewrite it so it could serve as a reboot of the story, hoping to create a franchise with the new film. Will Smith, who is known for his reluctance to appear in sequels, has not commented on whether he would appear. Survival film: information regarding the genre, with a list of feature films therein. ^ Jason Buchanan. "I Am Legend (2007) - Francis Lawrence - Synopsis, Characteristics, Moods, Themes and Related - AllMovie". AllMovie. ^ a b "I Am Legend (2007) - Box Office Mojo". Retrieved October 4, 2014. ^ Steuer, Joseph (April 24, 2007). "A 'Legend' in the Making". The Hollywood Reporter. Eldridge Industries. Archived from the original on October 11, 2007. Retrieved March 23, 2008. ^ "I Am Legend" – via www.imdb.com. ^ Wurm, Gerald. "I am Legend (Comparison: Theatrical Cut - Alternative Theatrical Cut) - Movie-Censorship.com". www.movie-censorship.com. ^ a b c d e f g h David Hughes (April 22, 2002). "Legend of the Fall: Will Ridley Scott's I Am Legend Rise From The Dead". The Greatest Sci-Fi Movies Never Made. Chicago Review Press. ISBN 1-55652-449-8. ^ a b c Lewis Beale (January 14, 2007). "A variation on vampire lore that won't die". The New York Times. Retrieved November 6, 2007. ^ a b c Anita M. Busch (June 5, 1997). "Scott, Arnold: 'Legend'-ary duo?". Variety. Retrieved May 2, 2007. ^ Anita M. Busch (July 2, 1997). "Scott is stuff of 'Legend'". Variety. Retrieved May 2, 2007. ^ Louis B. Parks (August 22, 1997). "Arnold's 'Legend' coming here". Houston Chronicle. ^ Michael Fleming (December 4, 1997). "'Legend' may not live on; Leighton lightens up". Variety. Retrieved May 2, 2007. ^ Chris Petrikin (April 13, 1998). "Fox reins in 'Riders'". Variety. Retrieved May 2, 2007. ^ "Schwarzenegger's 'Legend' is in peril". Chicago Tribune. March 16, 1998. ^ Benedict Carver (August 18, 1998). "Col taps duo for 'Space'". Variety. Retrieved May 2, 2007. ^ Charles Lyons (July 17, 2000). "Bowman will reign over Spyglass' 'Fire'". Variety. Retrieved May 2, 2007. ^ a b c d e Lee, Chris (November 4, 2007). "Will Smith: a one-man show". Los Angeles Times. Archived from the original on December 15, 2007. Retrieved November 6, 2007. ^ Michael Fleming (March 17, 2002). "'Legend' rekindled by Arnold". Variety. Retrieved May 2, 2007. ^ Juarez, Vanessa (May 19, 2006). "Most Delayed Movie Ever?". Entertainment Weekly. Retrieved May 2, 2007. ^ a b c d e f g h Halbfinger, David M. (November 4, 2007). "The City That Never Sleeps, Comatose". New York Times. Retrieved November 5, 2007. ^ Michael Fleming (September 13, 2005). "Helmer takes on 'Legend' for WB". Variety. Retrieved May 2, 2007. ^ a b c d e f Jensen, Jeff (August 16, 2007). "Will Smith: Making a 'Legend'". Entertainment Weekly. Retrieved November 8, 2007. ^ a b Nathan, Ian (January 2008). "Last Man Standing". Empire. pp. 109–114. ^ Fleming, Michael (April 25, 2006). "'Legend' reborn again at Warners". Variety. Retrieved August 23, 2006. ^ a b c d e Ian Nathan (October 2007). "I Am Legend". Empire. pp. 78–81. ^ a b Lee, Min (December 7, 2007). "Will Smith says new film 'I Am Legend' hasn't secured China release". Associated Press. Retrieved December 7, 2007. ^ Adam Markowitz (November 2, 2007). "The Dog". Entertainment Weekly. Retrieved November 5, 2007. ^ a b Wilson Morales (September 19, 2006). "I Am Legend casting news". Blackfilm.com. Retrieved September 19, 2006. ^ Davidson, Paul (October 4, 2006). "Another Smith Joins Legend". IGN. Retrieved October 15, 2006. ^ a b Stevens, Dana (December 14, 2007). "I Am Legend, reviewed". Slate. Retrieved April 2, 2012. ^ Gray, Simon (February 1, 2008). "Island of Lost Souls". American Cinematographer. Los Angeles, California, United States: American Society of Cinematographers. 89 (2): 32. ISSN 0002-7928. ^ a b Franklin, Garth (August 16, 2006). ""I Am Legend" Taking Time To Film". Dark Horizons. Archived from the original on January 2, 2013. Retrieved August 23, 2006. ^ Steuer, Joseph (April 24, 2007). "A 'Legend' in the making". The Hollywood Reporter. Archived from the original on April 28, 2007. Retrieved April 26, 2007. ^ Addiego, Walter (December 14, 2007). "Review: I, human – Will Smith plays last man standing in 'I Am Legend'". San Francisco Chronicle. Retrieved December 22, 2007. ^ Steuer, Joseph (April 24, 2007). "Government agencies cover filmmakers in red tape". Reuters. Retrieved September 17, 2007. ^ "Francis Lawrence on I Am Legend Re-shoots". ShockTillYouDrop.com. December 3, 2007. Archived from the original on January 6, 2008. Retrieved December 3, 2007. ^ a b Maher, Kevin (December 27, 2007). "I Am Legend review". London: The Times. Retrieved January 24, 2008. ^ a b Bloom, Bob (December 13, 2007). "I Am Legend review". rec.arts.movies.reviews. Archived from the original on December 31, 2007. Retrieved January 23, 2008. ^ "Sony Pictures Imageworks - I Am Legend". Retrieved October 4, 2014. ^ Harris, Chris (December 13, 2007). "Mike Patton Hits The Big Screen, Voicing 'I Am Legend' Baddies And Scoring 'Perfect' Indie Flick". Retrieved January 3, 2008. ^ "Shooting Dates for I Am Legend". ComingSoon.net. August 16, 2006. Retrieved April 26, 2007. ^ "I Am Legend". ComingSoon.net. Retrieved April 26, 2007. ^ "UK Film release schedule". Film Distributors' Association. Retrieved December 11, 2007. ^ Frater, Patrick (December 5, 2007). "China sets 3-month ban on U.S. films". Variety. Retrieved December 7, 2007. ^ "I Am Legend: Awakening". Future Movies. ^ Erik Amaya (July 28, 2007). "CCI: This Book is Legend". Comic Book Resources. Retrieved July 30, 2007. ^ "I Am Legend: Survival Launched in Second Life". ComingSoon.net. October 12, 2007. Retrieved October 12, 2007. ^ Mayberry, Carly (October 11, 2007). "Site a 'Legend' for iPhone". The Hollywood Reporter. Archived from the original on October 13, 2007. Retrieved November 9, 2007. ^ "'I Am Legend' sets big box-office record". MSNBC. Retrieved December 16, 2007. ^ a b "I Am Legend (2007)". Box Office Mojo. Retrieved January 23, 2008. ^ a b Gilchrist, Todd; Monfette, Christopher (March 11, 2008). "I Am Legend (Two-Disc Special Edition) DVD Review". IGN. Retrieved November 18, 2009. ^ Ault, Susanne (February 29, 2008). "I Am Legend to carry digital file". Video Business. Archived from the original on September 7, 2008. Retrieved November 18, 2009. ^ a b Lyons, Charles. "I Am Legend on DVD, HD DVD and Blu-ray". Archived from the original on January 17, 2008. Retrieved February 3, 2008. ^ "I Am Legend Ultimate Collector's Edition". WBShop.com. Archived from the original on May 31, 2010. Retrieved November 18, 2009. ^ "Top Selling DVDs of 2008". www.the-numbers.com. Retrieved July 23, 2009. ^ Ault, Susan (April 16, 2008). "2008 Q1 about even with last year: Blu-ray helped offset drops in consumer spending". Video Business. Reed Business Information. Archived from the original on January 7, 2009. ^ "I Am Legend". Rotten Tomatoes. Retrieved April 11, 2010. ^ "I Am Legend (2007): Reviews". Metacritic. Retrieved April 11, 2010. ^ Scott, A. O. (December 14, 2007). "Man About Town, and Very Alone". New York Times. Retrieved December 14, 2007. ^ "'I Am Legend' a One-Man American Metaphor". December 14, 2007. Retrieved January 24, 2008. ^ "I Am Legend review". Archived from the original on December 29, 2007. Retrieved December 25, 2007. ^ "Journal of Religion & Film: Film Review: Pan's Labyrinth reviewed by Jennifer Schuberth". unomaha.edu. Archived from the original on July 6, 2008. ^ Corliss, Richard (December 14, 2007). "Will Smith Gets Lost in His Legend". TIME. Retrieved January 23, 2008. ^ "Top 11 WTF Alternate Endings". March 14, 2017. Retrieved March 19, 2017. ^ McCarthy, Erin (December 14, 2007). "I Am Legend's Junk Science: Hollywood Sci-Fi vs. Reality". Popular Mechanics. Retrieved November 6, 2015. ^ Zizek, Slavoj (2011). Living in the End Times. Verso Books. p. 64. Retrieved April 28, 2013. ^ "6th Annual VES Awards Recipients". Visual Effects Society. Archived from the original on March 2, 2010. Retrieved April 11, 2010. ^ "Nominees for the 39th NAACP Image Awards Announced" (PDF). NAACP. Archived from the original (PDF) on August 7, 2008. Retrieved January 23, 2008. ^ "2007 12th Annual Satellite Awards". International Press Academy. Archived from the original on January 22, 2008. Retrieved January 23, 2008. ^ "Will Smith Profile: Biography, Filmography & Photos". uk.movies.yahoo.com. Archived from the original on July 20, 2008. Retrieved July 23, 2009. ^ Steve Weintraub (December 5, 2008). "Will Smith talks I AM LEGEND prequel". Collider.com. Retrieved December 6, 2008. ^ "Director Talks "I Am Legend" Prequel". WorstPreviews.com. January 16, 2009. Retrieved January 23, 2009. ^ "EXCLUSIVE: 'I Am Legend Prequel' Is Dead, Says Francis Lawrence". MoviesBlog.MTV.com. May 3, 2011. Archived from the original on August 8, 2011. Retrieved August 11, 2011. ^ Fleming Jr, Mike (February 17, 2012). "Warner Bros Plans More 'I Am Legend' With Will Smith". Deadline. Penske Business Media, LLC. Retrieved February 19, 2012. ^ a b "Warner Bros Connects With iPhone Salesman/Scribe's Pitch For 'I Am Legend' Reboot". Deadline. October 2, 2014. Retrieved October 4, 2014. Wikimedia Commons has media related to I Am Legend (film).